4-H STEM Ambassadors are college students (must be age 18 or older) who facilitate hands-on science, technology, engineering, and math (STEM) activities with youth ages 7-12. The theme for 2019 is aerospace. 4-H STEM Ambassadors will be based in 4-H offices throughout Massachusetts including Worcester, Walpole, Springfield and Newton. 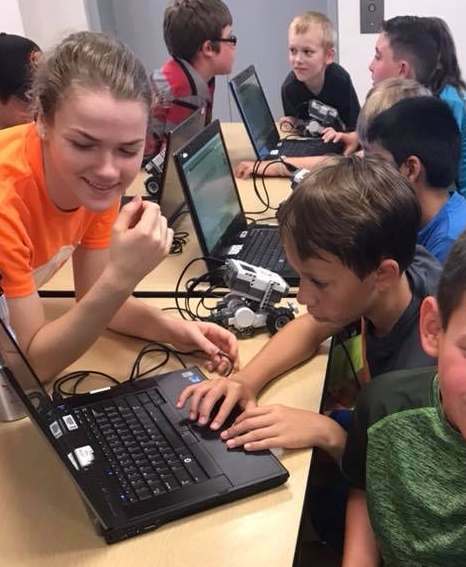 Those selected to be 4-H STEM Ambassadors complete required training about the 4-H Youth Development Program, working with children, and using specific lessons that will be taught throughout the summer. This opportunity is open to UMass Amherst and UMass Amherst Mt. Ida students and to 4-H alumni studying at other colleges and Universities. Funding for this program comes from the UMass Center for Agriculture, Food and the Environment and the Massachusetts Grange. Position Description and Application available under "Forms & Applications"